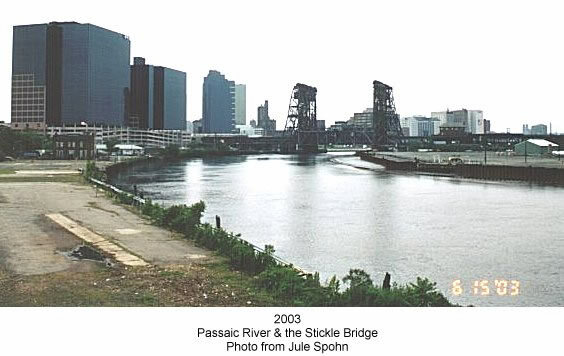 Early in Newark's history, the Passaic River was the source of some of the cities water. It was also used for boating, swimming and fishing. The river's inlets yielded crabs and shrimps while the deeper waters were used for fishing for perch, pickerel, shad, smelt and bass. The shad were quite popular and were served in the cities better restaurants. The homes of Newark's most prominent families were built upstream from the piers which were used for commerce. Exclusive boat clubs lined the river, which was used for their regattas.